This is an elite distinction only bestowed upon 83 schools nationwide. 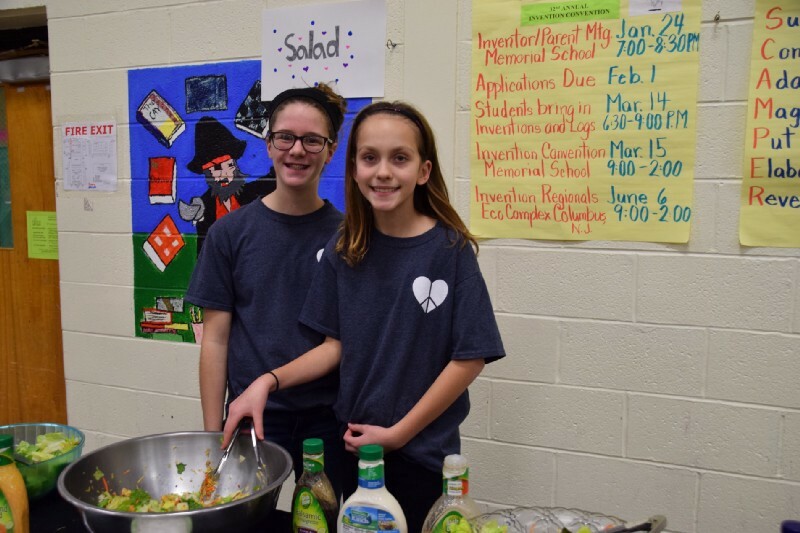 Cinnaminson Middle School students Alexis Ragone and Alexa Milewski serve salad at CMS’s eighth annual soup-er supper. After being selected as a New Jersey School of Character earlier this year, Cinnaminson Middle School has been selected as a National School of Character by character.org. This is an elite distinction only bestowed upon 83 schools nationwide. The application process involved several teachers and staff members coming together to submit an application that highlighted why Cinnaminson Middle School deserved to be chosen. According to the NJASECD, selection criteria is based on Character.org’s 11 principles of effective character education, which include engaging families and communities, fostering shared leadership and providing students with opportunities for moral action. Earlier this year, CMS Unity Club held its eighth annual soup-er supper. Middle school students, staff members and parents made soup and bought it to the middle school to serve more than 100 senior citizens in the community a free soup dinner. Students also collected donations for the Bread of Life Food Pantry. Goulburn says the dinner is so popular, some seniors arrive more than an hour before dinner is served. After the supper, leftover soup was packaged and sold for extra donations to the pantry. The soup-er supper is just one of many community events held by Cinnaminson Middle School. The students held a breakfast for seniors in December and a Winter Fest craft show that allowed community members to show off their crafting skills and sell their work. CMS will be recognized at the NJASECD conference on May 19 at Rider University and at the 24th National Forum on Character Education in October in Arlington, VA.